The first Cab Chat Show was recorded on Monday 27th October 2014 hosted by @SuperCabby & @MacTheCab. The show was born out of frustration with London Taxi Radio where both had been presenting live shows every week with moderate success but not really achieving their goals. SuperCabby & MacTheCab had lost enthusiasm for their live shows, Mac had stopped his live show and SuperCabby was considering ceasing his also. SuperCabby had the idea to start a podcast while listening to Collins & Mason Show, when the first show was recorded we did not even have a name for the show, we decided to just go with the flow and come up with a name if, and as the show progressed. We were really surprised at the response to the show, the first show attracted over 200 downloads within the first week, this was much more than we expected as we only really recorded the first show as an experiment, if it had not attracted enough interest we would not have continued with it. We eventually settled on Cab Chat as the name for the show. Through 2015/2016 Cab Chat continued to grow and attracted more and more listeners and downloads. In 2015 we took the show on the road and did a monthly podcast from the Oak Taxi Cafe where our team grew, MickTheBrit, GentlemanCabbie, TheHolbornCab, ParkerCabbie, and SeanPaulDay all became members of the London Taxi Radio team and actively participated in Cab Chat. Cab Chat attracted around 2500 downloads on average per show and is probably the most popular and listened to taxi-related show in the World. A couple of things over the last couple of years have had a substantial impact on the Cab Chat Show, the first was the closure of the Oak Taxi Cafe! John Anderson had allowed us to use the room at the rear of the cafe to record Cab Chat, John never asked for anything in return for the use of the room. The use of the Oak allowed us to reach a lot wider audience and also to attract more drivers to get involved. The closure of the Oak due to the redevelopment of the site was a massive loss to Cab Chat, we no longer had an accessible central location with ample parking to record the show. The second and the thing that had the most impact on Cab Chat was that MacTheCab decided to move to France in November 2016, this single thing had more of an impact on the show than any other thing. Cab Chat was started by SuperCabby & MacTheCab and the whole show revolved around these two main presenters. Mac brought humour to the show and could also pick up and carry on when SuperCabby stopped talking. MacTheCab’s departure from the show severely impacted the show’s dynamic and changed the feeling of the show for SuperCabby. Mid 2017, SuperCabby started to lose enthusiasm for London Taxi Radio and in December 2017 ownership of LTR was transferred to Sean Paul Day who is now the new owner of London Taxi Radio. SuperCabby decided to retain ownership of Cab Chat and to continue with the show, though the show will take a different format to previous shows. 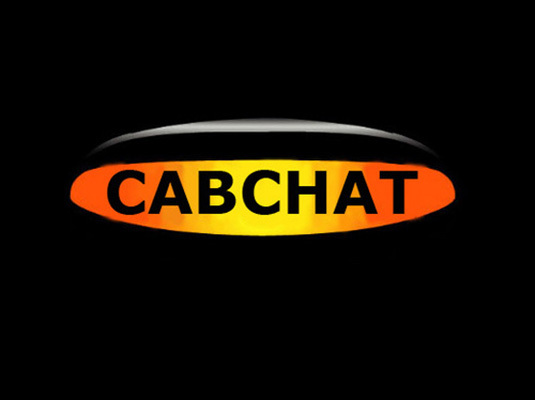 2018 will see the Cab Chat Show take a new format for the foreseeable future, there will no longer be a live Cab Chat show, the show will be recorded with pre recorded input from various members of the Team and some new guest presenters, also hopefully input from MacTheCab as and when he can get a decent internet connection. Cab Chat Show will continue to be aired on London Taxi Radio but from 2018 will also have its own iTunes podcast feed and its own Tune In Radio links. In the future Cab Chat may also have it’s own Stream to enable live boradcasts so that we can incorparate live phone in shows.